The foothills and mountains of the Pyrenees are an adventure lover’s dream. This is an area of breathtaking natural beauty, rich heritage, fascinating mountain culture and a superb climate. Running East to West, from the Mediterranean to the Atlantic, the mountains form an unbroken 300+ mile natural border between France and Spain. Their highest point is in the centre of the Chain. Pic d’Aneto rises to 3404m alt and in the same area the adventure seeker has numerous other peaks over 3000m to explore. On an adventure holiday in the central Pyrenees you have the chance to discover both the Spanish and French side of the mountains. No need to go over high mountain passes either. Simply head up the Aran valley or pass through the Bielsa tunnel to enjoy a lunchtime tapas and sangria after a morning of fun adventures. Why choose an adventure in the Pyrenees? 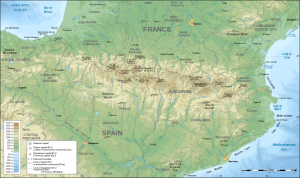 The Pyrenees are a serious mountain range by anybody’s standards and they remain largely undiscovered. Unlike many areas of the Alps, they also happen to be eminently accessible. 1h30 after leaving Toulouse or Tarbes/Lourdes airport you can be at your adventure base in the centre of the Chain. No need to waste your precious holiday time on energy-sapping transfers! 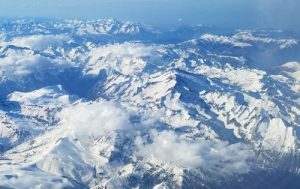 One of the biggest attractions of the Pyrenees Chain is the very fact they are not as big and brassy as the Alps. They remain wild and authentic, peaceful and welcoming and generally much more chilled out than their bigger brother. You will also be stunned by the value for money that you will get in the Pyrenees. You won’t be asked to pay silly prices for a beer or for a meal out in one of the many traditional restaurants of the area. Neither will you have to jostle with fellow holidaymakers in crowded bars for that hard-earned post-adventure drink in town.